Release date is still set for late Feb., which should give me plenty of time to learn how to play the songs on it. Ha! Speaking of playing, I’ve got a show at the Ruberto Ostberg Gallery – 2108 18 St NW – this Thursday, Oct 30. Anna and the gang over there are awesome hosts, and this is a new monthly series they’re putting on called ‘Last Thursday’. I’m the guinea pig for the inaugural event. 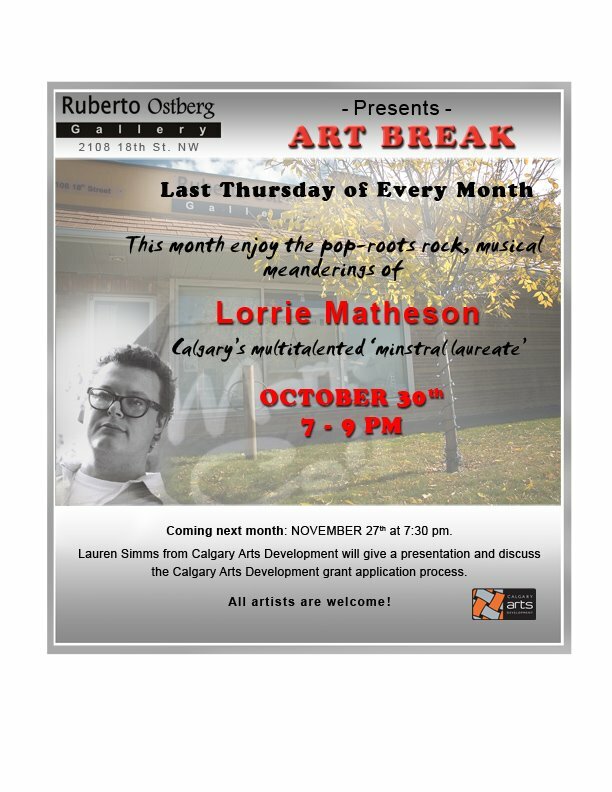 Early show – 7 pm – come down and look at some great art and hang- should be fun!